Located in the west end community of Britannia Youngstown, this stunning townhouse offers proximity to major amenities in Mayfield Common, Westgate Centre and even world-famous West Edmonton Mall! With tons of transit and commuting routes, including the Anthony Henday Ring Road and Yellowhead Trail, easily accessible this location is hard to beat! 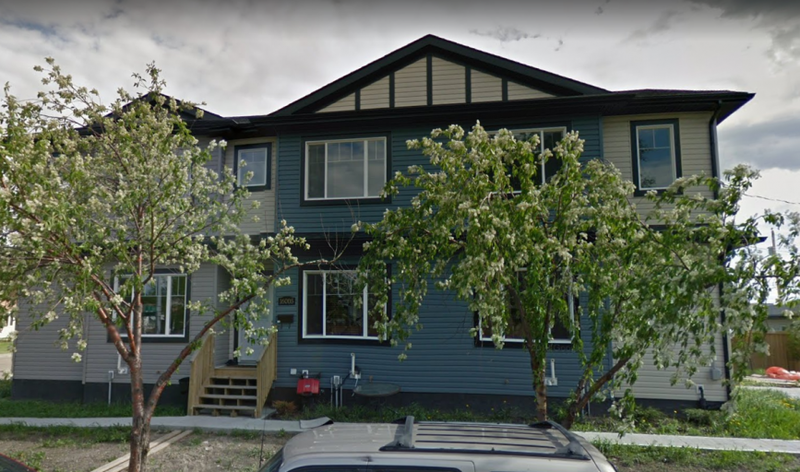 Plus, Britannia Elementary School and Jasper Place High School are both nearby, meaning this is an ideal location for families and professional alike! Inside this triplex townhouse unit, you'll find beautiful laminate and carpet flooring, large windows along with modern finishings and tons of space! Enter through the front door and be greeted by a large front entry that transitions into a massive carpeted front living room, with room for any furniture arrangement! The open concept layout continues as the living room transitions into a dining area and onto the gorgeous kitchen. With stainless steel appliances including a large fridge, stove, microwave and even a dishwasher this kitchen is impressive! Modern white cabinetry paired perfectly with dark countertops and tile backsplash provide tons of storage and preparation space, while the breakfast bar provides ample seating space. A half bathroom and plenty of closet spaces finish off this great main floor. Upstairs is home to the master bedroom which boasts a large closet and its own private full bathroom! Two additional bedrooms along with another full bathroom and plenty of linen closet space finish off this functional upper level. The basement is unfinished and perfect for additional storage or play space, while also housing the washer/dryer. Each unit has their own hot water tank/furnace and as such utilities are not included in the rent. All exterior maintenance and snow removal are included, no need to worry about shoveling!! Access to a single garage is available for an additional 100$ per month.